Psssst. 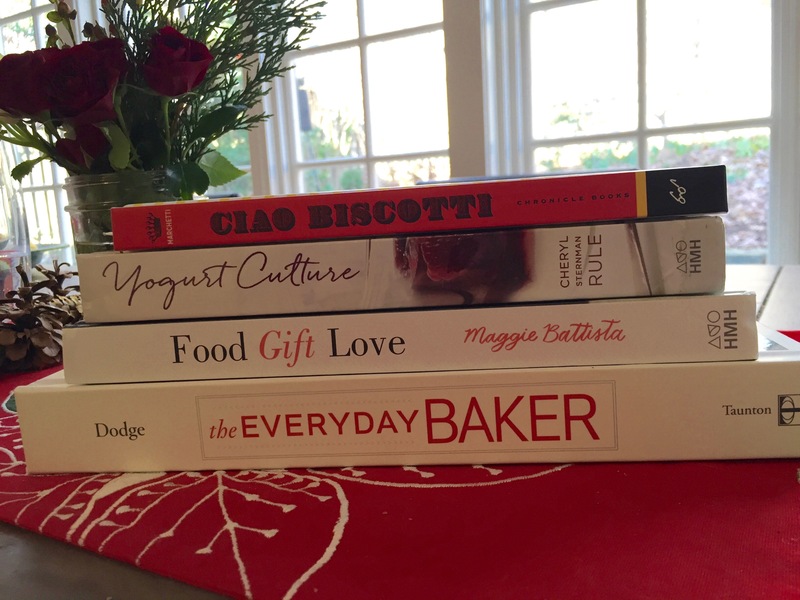 I’m giving away 4 cookbooks to 4 readers. Read on. Dennis selected a superb tree this year and we doubled the number of lights so it’s very twinkly. It’s made me so happy to have light in the house. These early December days when it gets dark so early can be difficult, but with all this twinkling, I am feeling pretty cheerful. I have so many reasons to be grateful, and one reason is all of you, my dear readers. To get in the spirit, as I do every year, I embarked on the usual holiday cookie craziness. Just check my Instagram feed to see all the baking and candymaking. At the end of it all, we shipped out dozens of tins to friends near and far. Once I make all the cookies I’ve been making for years (because recipients get snarly when you change up the mix), I make a few new cookies for us to try, especially the ones in the Washington Post’s annual cookie round up. Aren’t these Vanilla and Chocolate Shortbread Bird Houses adorable? I hope to make them sometime soon. In the midst of all the madness, we’ve had several parties and I’ve been cooking up a storm. 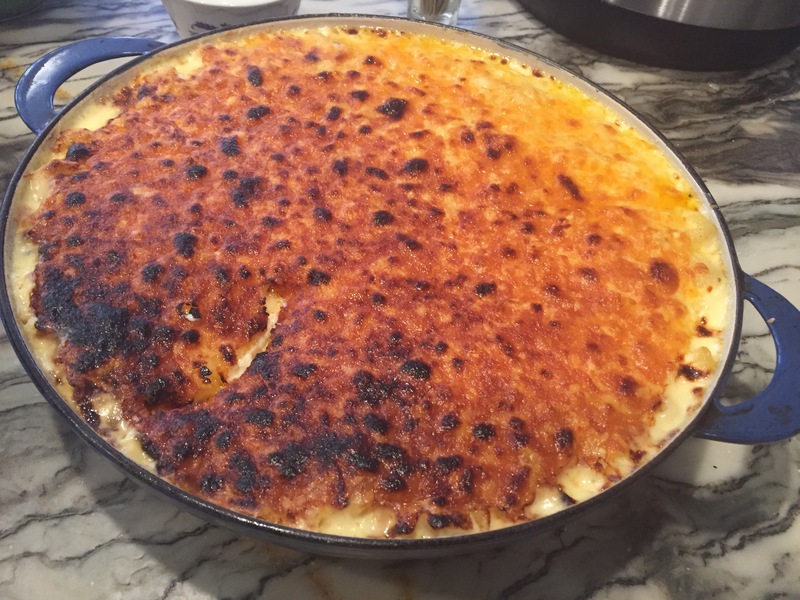 I made this divine Mac and Cheese THREE times for 3 different parties. Through it all, I had a chance to read and cook from several new cookbooks, discovering marvelous recipes, learning techniques, and reading warm, engaging introductions and headnotes. A good cookbook is such a treat. In Abby Dodge’s EVERYDAY BAKER, it was the Smoked Paprika Gouda Bites that got me. Holy moley, people. 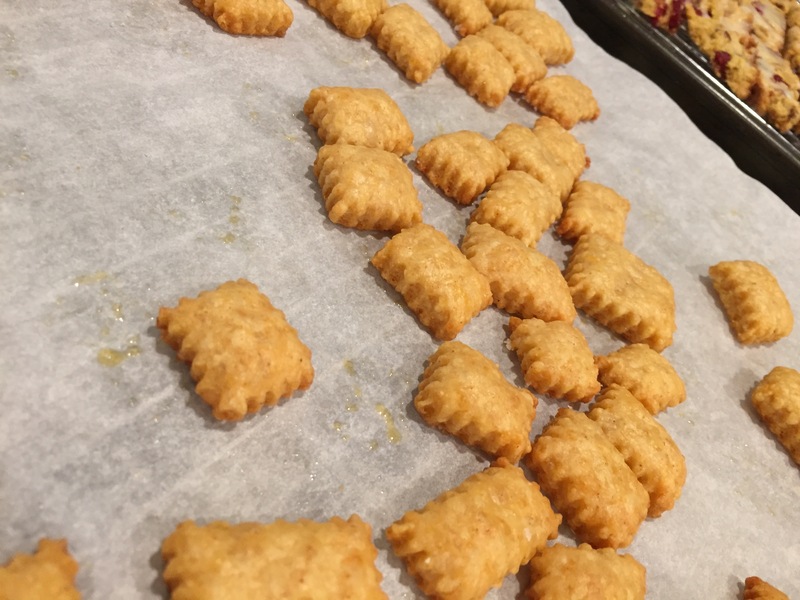 These are homemade cheezits. But better. Punchier. Cheezier. And Abby taught me a new technique – fraisage . Every detail was spelled out. It was like having Abby saying Attagirl at every step. The book covers every single aspect of baking and pastry, detailing complex techniques throughout. The recipes are mouthwatering. 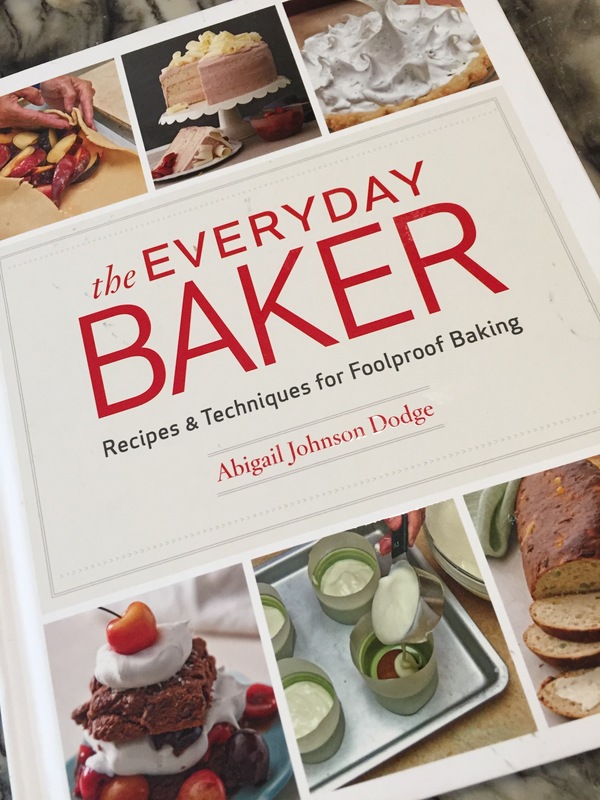 The photos are either informative, technical, process shots — SUCH a helpful way to visualize the trickier aspects of baking, or lush shots of finished baked goodies. Every baker out there needs this book. It’s the new gold standard. And I’m giving one away. After packing 15 boxes of cookies and taping and labeling and wrestling them all to the post office, it was time for a soul-satisfying dinner. 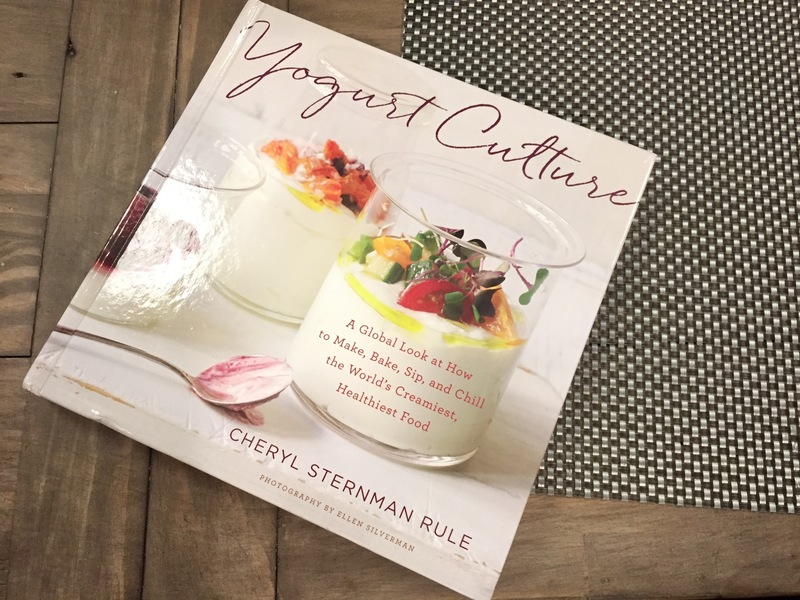 Gazing into the refrigerator, I spied a tub of excellent creamery yogurt and immediately thought of Cheryl Sternman Rule’s sensational book, cleverly titled YOGURT CULTURE. In short order, with a jar of my own canned tomatoes, we were enjoying a twist on vodka sauce — Creamy Pasta Marinara — made with yogurt. I love this book for the peek into yogurt’s influence in so many cultures. Cheryl’s recipes are everything! I adore her warm, often funny, headnotes and the range of offerings: complex and pure, easy and more challenging, sweet and savory. I’m working my way from the beginning to the end, finding new ways to incorporate yogurt into all sorts of recipes. I have one copy to give away. After I finish all my baking projects, there are always half bags of nuts, dried fruits and chocolate bits in the pantry. I need a recipe that uses them all. This year, I turned to Domenica Marchetti’s charming CIAO, BISCOTTI and found just what I needed. The Cranberry Pistachio Biscotti are delicious and so pretty when packed in a glassine bag and tied with a ribbon. This sweet book is filled with Domenica’s take on sweet and savory biscotti, as well as advice on shaping and slicing. I’ve got one of these books to give away, too! 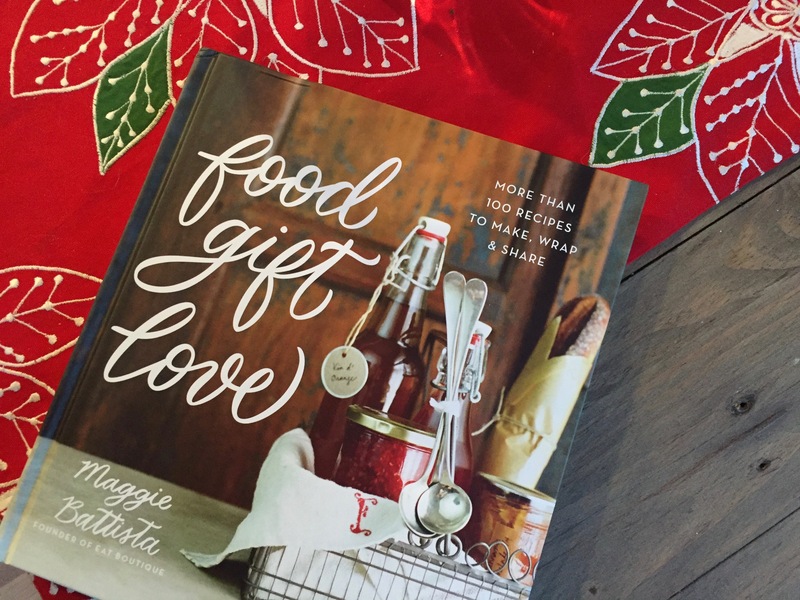 And last, but by no means least, is Maggie Battista’s charming FOOD GIFT LOVE. Every single recipes looks delicious. I made Jammy Marshmallows to use up some loose raspberry jam/sauce and they are completely charming and delicious. They are my everything. Maggie’s stylish packaging ideas will inspire you to dress up your own homemade gifts and her recipes will get you going in new directions. I am inspired to delve into flavored salts and infused honey, two new DIY playgrounds! Yup. I’ve got one of these books to give away, too. So, here’s how to get on my gift list. Just leave a comment before 9pm EST on Thursday, December 24. Tell me the best homemade gift you have either given or received. Ever. I’ll use RANDOMIZER to select four winners and randomly decide who gets what. It’s a gift! You’ll be surprised! I’ll announce the winners on my Facebook page on Christmas morning. It will be almost like having a package under the tree. PPSS Need a quick and beautiful and completely delicious last minute DIY gift? 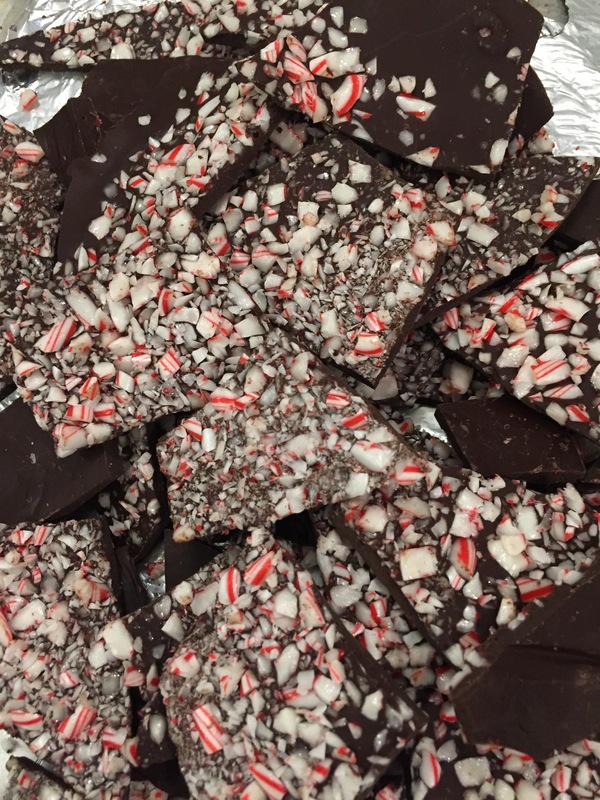 Make this Peppermint Bark from Nancy Baggett. And then get her book, SIMPLY SENSATIONAL COOKIES. My daughters and I bake together every Christmas. We always make my grandmother’s Christmas Bread and give it to our neighbors and friends. Can you share recipe for your grandmother’s Christmas Bread? Every year my husband makes, sometimes, multiple batches of English Toffee. Everyone now expects it! Best gift ever was Mexican wedding cookies a coworker made just for me since she heard me talk about how much I liked em earlier in the year. Merry Christmas! I love giving homemade gifts to friends a co-workers, but I also love to receive some treats in return. This year I got the crispiest, most buttery Lukken cookies. They were delicious! Several years I saw the movie “Under The Tuscan Sun” with Diane Lane. I loved it and was attracted to a drink her companion offered that she had never tried – Limoncello. So I set out to learn how to make it. A couple tries and failures, I finally succeeded. It took a few months to develop but i gave several bottles as gifts. My friends who received the gift loved it. The best was the year that I made cookbooks with all my Christmas recipes that I gave away with my cookies, candies, and jelly basket. My husband’s aunt always gives us a 9″ round of what he calls Christmas bread. I’ve requested the recipe a few times, but no one ever has followed through… Perhaps it’s been kept a secret intentionally. It a yeast dough and its topped with an orange glaze after baking. Yum! My grandparents are in their 90’s, still able to live on their own. Every year I struggle to come up with a gift I think they will enjoy. So for a month, every meal I fixed, I doubled the recipe. Pack into containers ( enough for 2 servings) and included heating instructions. I also had several desserts and sides. They had enough for a couple of months. I like to give lemon poppy seed mini breads. So good! I bake tons of cookies in December. Favorite of all time are the Snickerdoodles. Mom made them for me in the 50s. Make many more, but these are favorites. I am making Bone Marrow Butter with Meyer Lemon and Chives to give. Culturing local cream for the butter. Have local marrow bones. I’ve been babying an indoor Meyer Lemon with three fat beauties ready to harvest. And thanks to El Nino, I have a handful of chives left in the garden. The best cookies I ever received were home made chocolate chip which he assured me ‘he and his son made’. They were marvelous! The gift I’m most proud of giving is my Concord grape jam with St Germain. More recently a patient gave me jam from Beth the jam lady at USQ Market. Pretty excited about it. The best was three years ago when I made Italian Struffoli and gave them to my work colleague and good friend, absolutely divine those honey balls! Best handmade gifts given would have to be gifts of honey from our first honey harvest! Not that I made the honey, technically speaking! And the best handmade gift received has to be the handmade cross stitched bread cover. So special to receive these types of gifts from talented friends. Happy holidays, Cathy. I make grownup hazelnut dark chocolate fudge every year and it’s well received by everyone I give it too – it seems no one doesn’t like homemade fudge, except me! On another note, I’d like to say I read your book this summer and it really inspired me to start making all manner of jams and pickles and such in a way I never have before. My pantry is full of goodies and they make a dramatic difference in my cooking and it’s pretty much because of your book. So I just wanted to say thank you. Trays of homemade cookies, homemade vanilla, spice mixes are some of the best things I have given away. My best gift (I think) was a homemade Bloody Mary baskets for Christmas. Home canned goodies – bloody mary mix from my homegrown tomatoes, dilly green beans for garnish, coarse smoked sea salt and black pepper rim mix, grey goose vodka. One of my favorites: A lovely jar of preserved lemons! I made a few batches of your Jam, the peach and lemon verbena, and gifted jars to a select few. People have faught over that jam! hiding it in the fridge and begging me for more once they were found out. Of course, the rest is mine…. 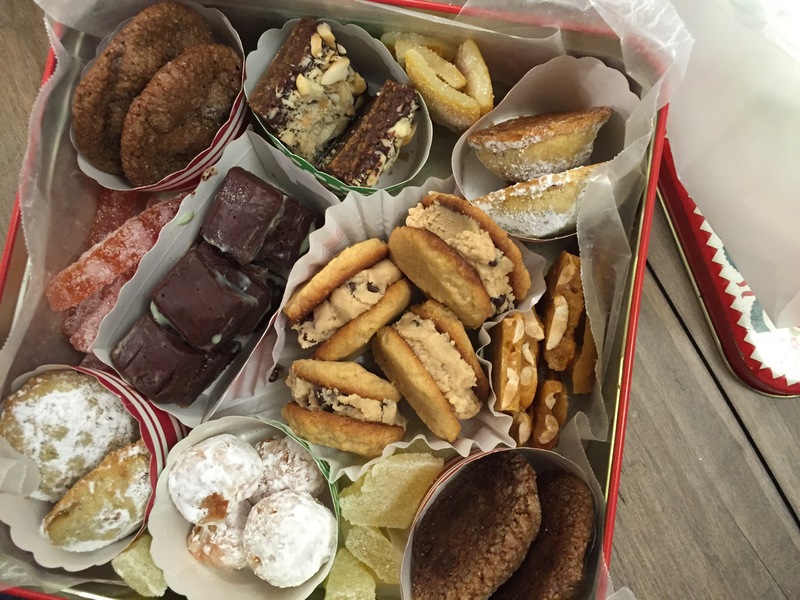 I make jam and pickles, and this year, I am also giving cookie boxes filled with family fave recipes. I bake a variety of holiday breads for friends and service people to enjoy. My favorite memory though is when my hairdresser told me she hadn’t had good challah since leaving Poland. I made her a very large long loaf to decorate true middle of her holiday table. She was delighted and her guests all lived it! The best gift ever received was canned tomatoes when our crop had failed. We were sure we would miss out but friends came through and we had a great winter with fresh tomatoes! Every Christmas, I do homemade pecan brittle and my Christmas Pepper Jam. People seem to really like it and I always get requests for more. Merry Christmas!! I love to give jars of my homemade grape and peach jams. I also love to give jars of my homemade grape juice made from home grown Concord grapes. Bacon Jam hands down the best I have ever made and gifted. My family and I received a batch of homemade Baklava for Christmas one year. SO delicious it was that no other baklava comes close. My daughter gifted me the most delicious home made cranberry strawberry jam. I usually try to give homemade things, the year I learned to knit everyone got hats! But every year, I seem to give a chocolate lover homemade chocolate syrup and it always goes over well (and doesn’t need to be consumed immediately, which is another plus). I’ve had Yogurt Culture on my to-buy list for awhile, and I have (no lie) had Ciao Biscotti out from the library for 9 weeks before reluctantly returning it. I’m sure the other two titles are just as lovely and I look forward to reading them too! On of my best home made gifts was chocolate truffles rolled in toasted hazelnuts! So delicious and perfect for anytime of the year! All the cookbooks look awesome! Would love more ideas for edible gift giving. Hope to win one of them 🙂 thanks for sharing! I make cookies and peanut brittle as gifts for family and friends. My favorite thing to make is cranberry-orange jam to give as gifts, and I have a friend whose English Toffee I look forward to receiving every year. This year is my second year brewing kombucha, and am looking forward to giving bottles for the first time! I’m known for my baking [as was my mother] and the top of the list gift I give is cream cheese rugelach – time intensive for limited output. It never disappoints. [Smitten kitchen recently posted a new, easier recipe I can’t wait to try. ] I never liked fruitcake until my dear friend gifted me her version. A native of trinidad, her fruitcake is heavenly. I know she chops the fruit and soaks it in rum. It is rich and smooth and so pleasing to the palate. Yum! Homemade Babka! Chocolate of course! Second would be Quince jam. Happy Holidays Mrs Wheelbarrow!! Every year we receive cookies and candied pecans for the holidays from my college buddy. It’s such a lovely gesture, and everything is delicious. To remain in her good graces, I faithfully return tins and even send more to ensure refills the following year. Friends are clammoring to get my tomato veggie juice with hot sauce…. And I am having a tough time parting with a single jar from my stash of over 100 pints. Some options to give away would really be appreciated! I have gotten and given so many yummy things through the years. One of the stand outs was limoncello made by my daughter one year. I’ve been making cranberry apple jam and spiced pickled seckel pears to give away. This year I added homemade vanilla extract. Citrus madelines are always a big hit (made with Meyer lemons when I can get them). I just spent my Sunday making toffee covered with chocolate (and various garnishes) for my coworkers because they seem to love it. Every year I try something new. This year, the grasshopper squares recommended here. They are outstandingly delish. But the one loved by friends and family the most- Thomas Keller’s peanut butter chocolate truffle balls are so good and creamy. Best gift I’ve given was the mango jam I made while living in West Africa. A yard full of mango trees was heaven. Getting jars was another story! Hand carried the jam back to friends & family in the U.S. Hands down everyone’s favorite, including mine. Sweet and Salty Nuts. I make them every year. My mother-in-law sends a lovely Christmas pudding every year, ready to be steamed and served with brandy butter. Yum! Canning is my summer hobby. I work my bahooty off every summer to have jams,jellies,pickles,relishes,pepper jellies,pickled okra,peppers,pickles,pasta sauce and whole tomatoes made to give away every Christmas. I LOVE every second of it. Your habanero apricot jelly is what my friends and family clamor for during the holidays- the first year I made it, my mom begged for a second jar so I had to give up one from my personal stash! It’s been in my gift boxes ever since. Hands-down, the best homemade gift I’ve ever gotten was from my grandmother. Every year, without fail, she would make mincemeat stuffed pillow cookies. And when I left home after joining the Coast Guard, she sent me a shoebox full every year, without fail. They even made it to Guantanamo Bay and Alaska. Nothing can compare to the taste and the memories of those cookies. Every Christmas Eve I make my husband’s favorite cake, Mama’s Big Nut Cake, which his grandmother used to make for his mother’s December birthday. Holiday Sweet & Salty Granola is the coveted gift of the season. If I don’t make it….everyone is grumpy! This summer I made sour cherry jam that was pretty spectacular. One jar went to new neighbors and one jar stayed with me. Next year I need to make more! Have the happiest of holidays and much peace and love for the New Year. I need to come live with you so you can teach me how to bake. Thanks for the link for the cookies. My best gift was a typewriter when I was young. I still have it and it allowed me to work from home rather than going in to school to type! Ha! My favorite homemade gift giving year was many many years ago when first married and living down the road from a family with many children and little money. I filled a legal sized envelope box with several dozen different cookies, chocolate crinkles, Mexican wedding cookies (which my mother always called “Christmas Cookies” because that was the only time she made them) shortbread and more, delivered them and watched the children dive in! I baked an abundance of cookies last year & gave bags out to the utility workers working on broken water lines in our neighborhood during the holiday. They were very appreciated! I have been making cookies, though not as gorgeously elegant as yours, every year to give to family and pseudo-family. The best home made gift that I ever received was back when my aunt Cora was alive. She made me several skirts. One in particular, a blue and white wrap around, was my favorite. I miss you Cokie! Best ever is a basket of all the seasons produce, pickles, jalapeños jelly, strawberry jam, sauerkraut and red wine vinegar. When I was in college, I used to love getting friendship bread starter from my mom. I loved making something homemade every so often. In addition to the 12 batches of cookies I made to bring to friends, I made my nephew’s favorite chocolate chip cookies, wrapped them in a Christmas box and mailed them to him in Montana where he is in school and away from home for the very first time during the holidays. A taste of home seemed really important! I always give homemade jams, chutneys, and relishes as gifts, but my infused vodkas are very popular. Also, granola is appreciated. This year a friend gave us an assortment of homemade bitters and we are really excited to experiment with those. One year my sister inlaw gave me some of her homemade chocolate toffee. It was too die for! It’s one of my all time favorites!! The best homemade gift I ever gave was my first loaf of sourdough bread, I made the starter, borrowed a grain mill to grind the flour, let the dough do a 48 hour refrigerator rise, rolled it, let it rise again, put it in the oven, and it was HORIBBLE, but the tears of joy in the eyes of the man I was giving it to indeed made it the best homemade gift I ever gave. I am re-posting, since yesterday’s comment mysteriously disappeared. I have always given homemade food gifts: flavored vinegars, chocolate truffles, preserves, membrillo, pan forte, chevre, cookies. This year I received a wonderful gift from a new friend: two silver Christmas tree balls. On each is a perfectly rendered portrait of one of my two dogs. Best. Gift. Ever. My mil would send a box, not a small box either, full of fresh baked cookies, candies, and breads. My family would look forward to getting this box every year. This box was always our best gift. Now that my kids are now grown up and having families of their own, I am doing my best to keep that tradition of fresh baked and homemade candies gift giving with them. Oh, the joy of making and giving yummy bags filled with white chocolate coated mini pretzels, cashews, golden grahams, dried cranberries!! One of the best parts is making this with my daughter as we’ve done for many years. Merry Christmas to all. I love to cook and bake – but I need help! If I win acookbook, maybe I can do better. This year I made an alcoholic sweet cherry concoction similier to a cherry cordial. My friends loved it! Delicious in hot cocoa or as an alcoholic cherry 7up. I probably loved making it more than they loved receiving it. It was a hit! My husband, the Cookie Monster, actually looked at the tins in the dining room and said, “I think we have enough cookies.” Such fun baking for friends and neighbors and, yes, my own Cookie Monster. A sweet gift was biscotti and last year I received a jar of preserved lemons from a friend. Oops! Forgot to say what my best received or given homemade gift was. Hmm. Probably my chef friend Nadia’s chocolates would be the best received. My Cappucino Biscotti get rave reviews and requests every year, so that sums it up. 3 years ago I gave away pints of homemade Apple Pie Jam. 2 years ago it was homemade cookie mix in a quart jar. Both were big hits. I’m thinking about some flavored vodkas for next year. I love giving treats that I’ve made for the holidays. Favourites include shortbread, mixed nuts and candied orange peel. I hope that they rank among the best that the recipients have received. I’m remembering a box of various home-made candies–dusty-white, nut-bearing divinities, fudge, and delicious things I can’t remember, being very little at the time. It arrived via post from Aunt Freda, who was said to live in a faraway place called Ohio. My mother harked back to this for years and years–and even though we seldom saw her, my mother always spoke of her as being a terrific cook. The best homemade giveaway was a loaf of apple oatmeal bread with an apple chutney spread…for everyone! Chocolate peanut butter, jelly filled. Sugar cookies just to name a few. Every child has a favorite but it’s all good no complaints ever! We put in a good size garden and I put up everything we harvest. So I love giving any thing homemade, especially fruit Preserves, sauces and spices. this year i have a new favorite- i made sweet/salty/spicy nuts as gifts for family and friends. i also love giving away my homemade limoncello. happy holidays! Also loved the pickled sweet cherry peppers I canned and gave out. Finally remembered to keep a couple for our house! I love canning and cooking and all the fun that goes with it! The best and most challenging thing I’ve done was canning 200 jars of homemade jams in 3 flavors from fruits I hand picked to use as favors for my wedding. It was wonderful and exhausting! Home made Cappuchino Fudge Sauce! Some of my favorite homemade gifts have been aprium jam, orange marmalade with cointreau, and caramel corn (so hard to let that one even leave the kitchen!). And some of my favorites to receive have been plum butter, autumn chutney, and dark chocolate bark. Your bag of Christmas cookies Cathy, was something I looked forward to every year when I was in DC. I would always plan on taking it home fem work to share, but invariably by the end of the day my “just one more” temptation would lead, finally, to my eating all of it. Irresistible and delicious. My fav: the candied orange peel! I love to gift my homemade raspberry jam made from our backyard berry patch. 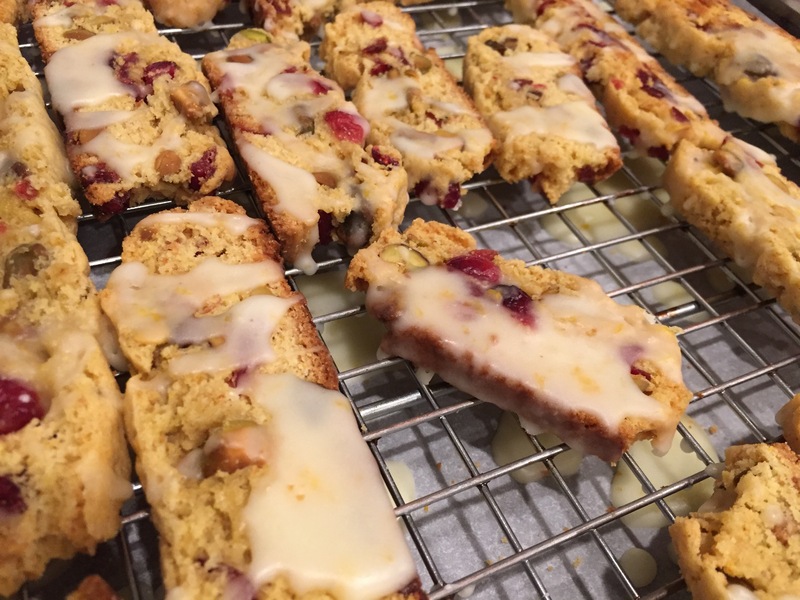 I love biscotti and so enjoy making and giving them away during the holidays. Several years back I made at least 8 to 10 versions, put 1 or 2 of each in fun holiday tins and gave them all away. I used Christmas spices, various nuts, chocolates, candied ginger, figs, cherries and more in them, and dipped some tips in dark chocolate. This year was no different, although fewer varieties. How fun! That Mac & Cheese looks divine. My favorite recent homemade gift that I received was homemade vanilla extract. A friend of mine who loves to bake (like me) gave it to me a few years ago. Sadly, it got used up this year, but it contributed to many wonderful batches of cookies. Usually I send out my semi famous gingersnaps and jams but this year it’s Meyer lemon simple syrup and infused safflower oil and rice vinegar. I struggled this year with what to give a son who has everything? So, knowing his love of cheesecake and all things sweet I’m making him a handmade coupon book for a “Dessert of the Month” gift. Each and every month he will be able to turn in a coupon and request a specific sweet that he is craving. I just know he’s going to love it! I’ve been giving jars of Chai-Spiced Plum Preserves from your recipe in Mrs Wheelbarrow’s Practical Pantry — a huge hit. But I hope that this winter won’t be so hard on the fig trees in my Bethesda garden, and I’ll be able to go back to giving figs preserved in rum next year. My best homemade gift? I’d have to say my mom’s hot pepper jelly. Such inspiration in this post! December is such a busy time for me – lots of grading and planning for Spring semester that I always feel a bit breathless when it comes to gifting. One year I gave my neighbors and friends jars of marinated, herbed olives (this was when a good olive wasn’t to be found for 30 miles). Everyone loved it. Now olive bars and unusual olives are everywhere. This year it is seasoned salt, barbeque rubs and homemade vinegar. Last year my daughter and I made homemade marshmallows and hot chocolate mix. Really good. One year we made a couple hundred italian chocolate dipped almond horns as a thank you for the staff at the hospital and cancer center where my son had been treated. They came out beautifully and everyone loved them! The best homemade gift has been the various types of salumi that a friend makes in his converted garage/salumeria. He used to gift excellent biscotti before he moved on to this new hobby! Well, I think the best home made gift, I have given is a homemade gingerbread house. Then I think the best home made gift I have received was a cookbook made by my God Daughter…from her trip to Italy. Merry Christmas…and Happy New Year! One of my favorite hand made gifts were a pair of home spun woolen, hand stitched/knitted socks that one of my kid’s friends Grandmother made. She’s the old school, traditional Norwegian granny we all wish we had, with an amazing set of skills that are sadly becoming lost. My mother made me a quilt with some of my favorite things on it when I was in high school. I’ll never forget that. I make small jars of pickled carrots, pickled green beans, and zucchini relish during the summer and give them as gifts at Christmas. They are big, big hits. A dozen cinnamon rolls hand delivered to us each Christmas, sometimes still warm out of the oven! The most requested gift I’ve made is Peanut Butter Sandwich cookies. I can’t make enough of them. I make homemade peppermint patties. So delicious! I make granola every year and give as gifts, and also try some new recipes each year for cookies and fudge. Everyone always looks forward to receiving anything from my kitchen! For years my aunt would give us spiced pecans for the holidays. After many years of asking her for the recipe, she finally relented and now I give them away to friends and family for the holidays. I just made two big batches last night! My tree is half decorated. Fudge, Rocky Road Fudge, and Peanut Butter Balls made yesterday along with several gluten free treats for a friend with celiac disease. Cards aren’t finished. Cookies were supposed to be made today… . I thought I was ahead of the game, and now I discovered I have company coming Christmas! The husband is fighting cancer, so I feel honored that they would share time with us. The packages I’ve mailed out are arriving. That’s a good thing! I’ll sneak in some yeast dough for Grissini breadsticks, get my yogurt started in the machine, make some Peppermint Marshmallows (tomorrow), and make myself a strong cup of tea! I have a feeling “it’s beginning to look a lot like Christmas!” Maybe Santa will send a few elves our way! For many years my father and I would make bourbon balls together and give them to family and friends. My father had since passed away but I treasure the memory. Snowballs! And Ginger Snaps! Feels like Christmas when shared. these books look great, and it’s wonderful that they’re written by your friends! favorite homemade gifts came from a woman my mother worked with. she would send me her shortbread, and once made me a pair of slippers. i love all things home made! My favorite food gift to give away is my canned smoked salmon. Everyone loves it and it’s almost painful for me to give away! Home made cookies are the best. Every other year, I get together with a group of friends, to make Aunt Bills Brown Candy. It is a holiday traditional candy that is much loved here in Oklahoma. I make a lot of gifts all through the year. Currently I am making felt coasters and pot-holders, frame purses and I knitted 6 bulky cowls for my 3 children, nephew and 2 significant others that came for Thanksgiving. I am making peppermint bark and rugelach for my neighbors and will try to deliver tomorrow. I also try to buy handmade gifts at holiday fairs if I don’t make things myself. I have a friend across the country who always makes me gorgeous cards. She is now in art school and I treasure those cards. In face any treasured card goes into my cookbooks as a bookmarker so when I look for recipes, I enjoy seeing special cards and notes again! My favorite gift to give is my own canned jams, jellies or pickles – summer in a jar! The most requested gift of food is always my Grandmother’s recipe for butter cookies. Maybe because they aren’t super sweet and just taste of the good butter and vanilla used to make them, but year after year I get more requests (and complements) for these. I think the memories we share are the best gifts to give! I give my iced sugar cookies each year. These are the ones my grandmother and I used to make when I was small. I also give the press cookies. These are the ones my mom used to make and then I baked them with my daughter and she would make them and add a star to the top! Merry Christmas! Best gift ever? Can’t say yet, as I hope there are more great ones coming, but so far: lemons from Arizona from a dear friend. They made delicious lemon curd that I shared with many. Best gift recently: Tinctures of catnip and valerian root from an herbal friend! She knew I was stressed out and I was so touched by the effort. She also threw in a mason jar of STILL WARM rosemary shortbread cookies – wow! Your life sounds full and fun. The cookbooks all sound like wonderful books. I would love to have any of them and will be looking for them in the bookstores. I always bake wonderful, moist date-nut bread for my sister at Christmas. She puts it into the freezer until all the guests have gone so she doesn’t have to share it. Makes me smile every year. My husband’s Mammaw’s fruitcake. As a young couple, we received on every year. Since Mammaw died about 16 years ago, it’s now my honored duty to bake and give. A friend once gave me some homemade chewy molasses/ginger cookies. I’ve never had a cookie so good, and she refuses to give me the recipe! I made shortbread bits this Christmas. Oh so good. For my grandma’s 80th Christmas, my grandpa got her an iPad. But she got frustrated trying to figure out how to use it. Last night, my fiancé and I took pictures and made a 44-page booklet with visual directions as a guide for her to use it and pair with her digital camera for photo sharing on iCloud. My cousins, aunts and uncles have already added photos to the stream for her to view, and the best part- she can do it all on her own without getting frustrated! The best gift I could receive would just be a simple hug from my friends and family. The best I gave was the first time I made fruitcake for my father. My grandmother started making them in 1928 and when her two sons grew up and had families of their own, she continued to make them each a fruitcake at Christmas. They were baked in an octagonal tube pan that had been made by her father, a tin smith, around 1915. Alas, over time, arthritis set in and my grandmother was no longer able to do all of the chopping and mixing that the fruit cakes required. After several years of a fruitcake drought, I contacted my grandmother and she sent me the recipe. That year, I made the fruitcake in September, giving it three months to “cure” in its tin. When I presented it to my very surprised Dad, tears welled up in his eyes when that familiar smell wafted from the tin. Best gift I ever gave. I make caramel candies and a Date-Nut bread to give to friends and family! More recipes to teach my grandchildren the wonders of cooking! The first Christmas after almost a year of dating my (now) husband gave me tools and a tool box because he found my selection lacking. I was not at all amused then but those tools and box are now my favorite Christmas gift story. He hasn’t given up on tool giving — kitchen tools and appliances. We both love cooking and baking. Very best holiday wishes to you and yours. Cathy, such a great giveaway, made all of the more special by the fact that these wonderful sounding books were written by friends of yours. This year a friend gave me homemade lime curd that she made from limes in her backyard. It was so delicious — I hoarded every spoonful. I also love the perfectly shaped shortbread cookies that another dear friend gives me for Christmas every year. If by homemade, you mean handmade, the best gift I have given was an advent calendar to my daughter this year. 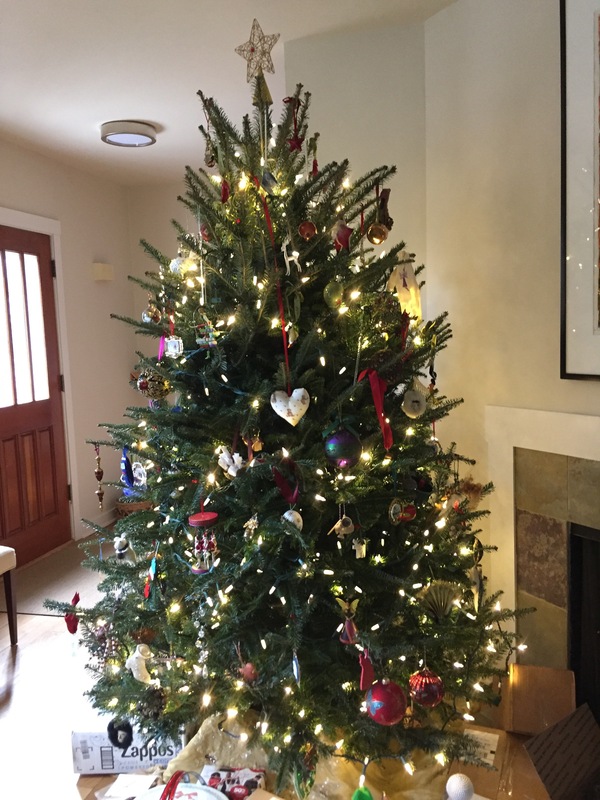 She is a freshman in college this year – I knitted 24 ornaments and a friend sewed up a banner with pockets for each day and a cut out Christmas tree with buttons to hang each ornament. The best homemade Xmas gifts I’ve gotten were a sectioned box of multiple flavor a of homemade marshmallows (so good! ), and smoked alder wood sea salts (coarse and fine). My most well received homemade gifts given out have been pints of brandies black cherries, and my own riff on The Kitchn’s (by way of Sunset magazine) Christmas sweet bread wreath — it always gives a wow factor. Thanks s much for the lovely giveaway and Merry Christmas! I bake rosemary cheese crackers and everyone goes crazy for them! My favorite homemade gift I’ve ever received was the herbes de Provence from my friend, Marge. She grew the herbs organically, dried them, and combined them in a little jar. It was like precious gold! I like to give little pans of what I call “tiramisu for two” and Nigella Lawson’s Rosemary-spiced mixed nuts. I love to give away homemade goodies because so much thought and love goes into them. But the BEST homemade gift(s) I have ever received were gifts made by my children when they were young…and older!! My best ever: salted Mexican hot chocolate bark. Dark and milk chocolate swirled together with cinnamon and paprika and dusted with flaky sea salt. Sublime. The best homemade gift were marshmallows in several different flavors. Good for snacking and for hot chocolate. The best gift I’ve ever given was photos of my family on wood! Memories to cherish forever!!!!! I love giving jars of pickled ramps — I use Hank Shaw’s recipe with saffron and thyme and the ramps and liquid are a lovely pale orange color. The best homemade gift I ever received was several years ago, from my mom. She spent months compiling family recipes and putting them into a big family cookbook. I treasure it. The best gift I ever gave was a homemade 8 point star quilt using scraps of cloth from my grandmother’s stash, clothing she made us kids as we grew up, clothing the first great grandchild took her first steps in, shorts from the 1940’s, etc. The fun part was that I hassled my sister a lot about how much she was going to love this gift… I am the woodworker, the furniture builder…never in her wildest dreams did she pick me for someone that could sew. And truth be told, I can’t sew…I cursed a lot as I sewed and haven’t done another quilt since! My favorite “best gift” at Christmas were the jars of Drunken Fig Preserves we made the summer our fig tree went wild and produced two incredible harvests. We used an old Italian recipe that year and it was hands-down the best fig preserve ever. Pfefferneuse, Mexican wedding cakes, bourbon balls, an oatmeal date nut bar she called Honeymoons and . Then there was my favorite, a walnut topped cookie with a square of Hershey’s milk chocolate in the middle. It’s like a Tollhouse cookie batter with the chocolate in the middle instead of chips. The best homemade gift was the annual tin of wafer-thin, carefully decorated Christmas cut-out cookies from my Grandmother McQueen! The best homemade gift I ever received was one of those cookie mixes in a jar…I had never used one before but loved it. I made the Snickerdoodles. Best homemade gift received = homemade peach jam! I’ve received homeade kahula and was delighted. We grow hot peppers in the garden for pepper jam. It’s always a hit. I can’t think of a homemade Christmas gift I received, but I did give away Peach Jam for A Cold Morning one year. Habeneros are the extra bit! Now I’m going to go back and read the comments which seem to have a lot of good ideas…for next year!